The American Indian Education Foundation, a program of National Relief Charities, awards scholarships each year to Native American students attending college. 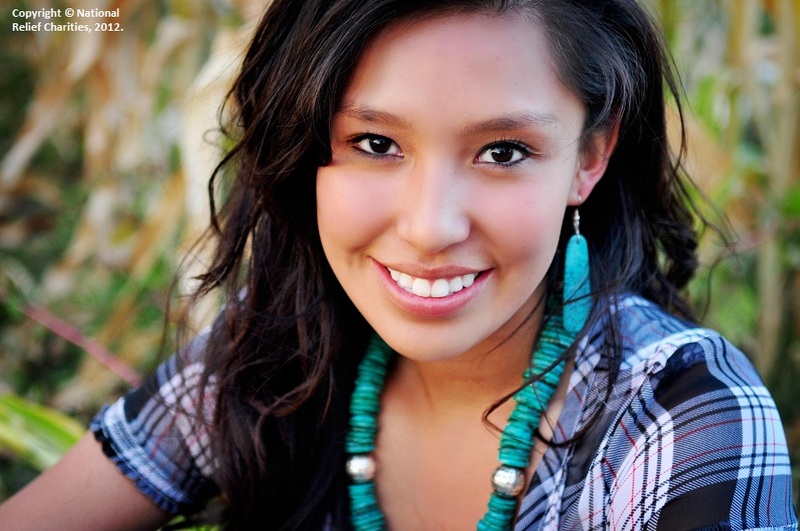 Meet Ona, one of this year’s American Indian Education Foundation Scholarship recipients. 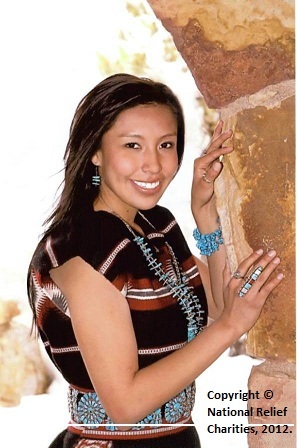 She is an enrolled member of the Navajo Nation and grew up on the edge of the Navajo Reservation in New Mexico. While attending high school, Ona used sports as a way of staying active in her school. She participated in cross country, track, and basketball and is very proud to have been a member of a state championship basketball team during her senior year in high school. Ona saw first-hand the benefits of youth sports and the positive effect it had on her peers who participated. Not only was Ona a good athlete, she was a great student who studied for hours to achieve the good grades her mother told her she was capable of receiving. Ona saw her mother as a role model, as she had a Bachelors degree and offered Ona an immediate example of a strong, educated Navajo woman. Additionally, when it came to homework and school, Ona used some words her father had told her to help her maintain her strong work ethic. She says he taught her that “what you put into something is exactly what you’re going to get out of it” and this served as the inspiration for Ona to work hard to achieve her scholastic dreams. Ona is now a sophomore in college pursuing a degree in Nursing. She plans on continuing toward her Masters in Nursing, specifically Pediatric Nursing, after she earns her Bachelor’s degree, and then returning home to work in a Pediatric facility. And, she plans to achieve all of this by the time she is 25 years old! Ona is a very dedicated student to say the least. Ona is also known for her giving nature. She recalls that when growing up she would take the clothes she had outgrown to various chapter houses in her area to help younger children in need of clothing. She is a member of the San Juan Chapter House and has participated consistently in activities that give back to her community. Our American Indian Education Foundation program is proud to have awarded Ona a scholarship. She is a student with big dreams and is doing her part to actively and effectively pursue them. She is very passionate about what she is working to accomplish and understands the hard work involved to make her dreams a reality. We hope you will tell other Native American students about Ona to inspire them to pursue their dreams too. This entry was posted in Programs and tagged American Indian Education Foundation, Native American student, scholarship. Bookmark the permalink. Trackbacks are closed, but you can post a comment.